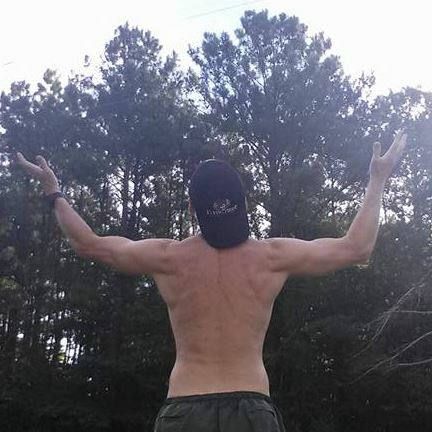 The picture was taken just after finishing my first non stop run last Sunday, a 3 miler. Giving thanks for finally being back on the road. I am very pleased with the progress so far. After that first non stop run I have been able to drop any walk breaks . I took off Monday and just did a 2 mile walk and then ran 3 days in a row, feeling stronger each day. Went for another 2 mile walk on Friday. On Saturday I decided to try for 6 miles. I was feeling a bit tired on the hills but oterwise no problems and a decent pace. I thought about resting Sunday am but woke up feeling very good so I went out for a 3 miler. Decided to test the legs a bit and laid down a 7:35 mile two ! I was sucking wind but it felt so good ! I ended up with 20 miles for the week and still no pain while running. The legs are doing great but I am still feeling it with my breathing and the heart rate is a bit higher than normal but I am sure I'll get that back in shape quickly. What amazes me is I am already averaging about the same pace for these easy runs as I was 3 months ago ! Now I just have to be careful as I slowly build the mileage bac up to pre-injury levels. Thanks for caring and stay tuned. Big stuff coming !